Fox Hollow Studio: I Won a Give A Way!! I Won a Give A Way!! 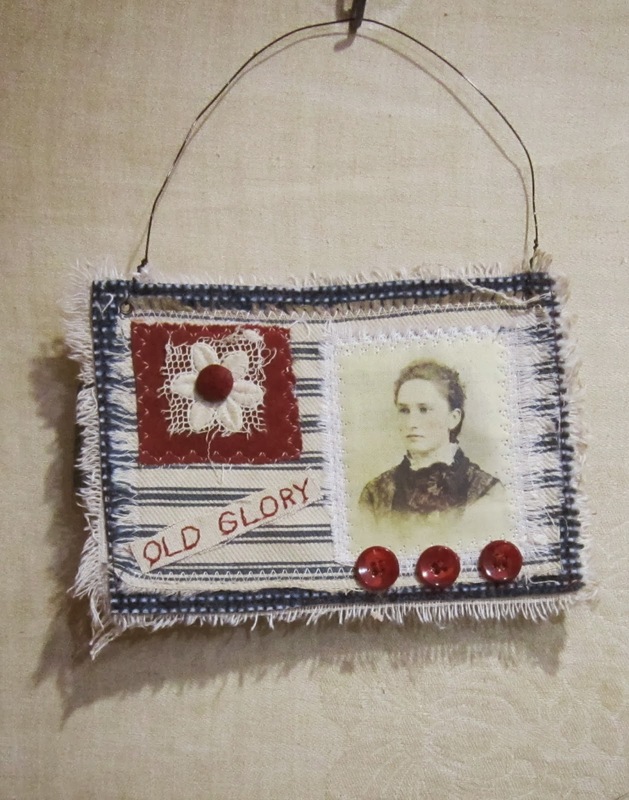 Pretty Ragged Threads features the works of mixed media artist and her work with vintage fabric. Simply delightful work. I was fortunate enough to win one of the recent give-a-ways. I received this beautiful fabric needle book. The book has a vintage photo transfer of a Victorian lady on the front. It is trimmed with vintage lace , trim and button. It is made with plenty of room on the inside for all your needles, etc. She sells these on her Etsy site and they would make a lovely gift for a friend. 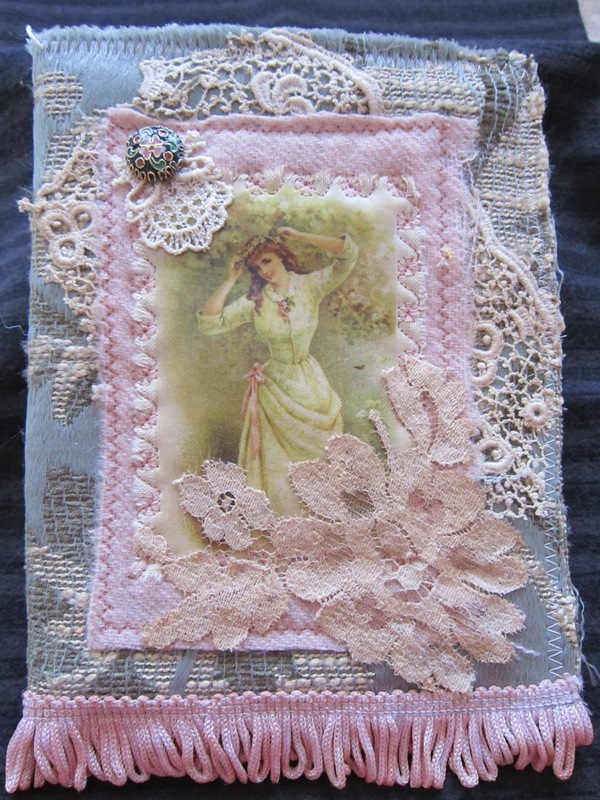 She also include this mixed media wall hanging that made of scraps of old and distressed fabric. with a photo transfer. He work is lovely. Don't forget to hop over to her blog. Congratulations Teresa - isn't it so exciting to win a beautiful giveaway such as this! Jackie is such a talented mix media artist and a very kind and generous blogger. I'm always drawn to her work she puts up on her blog.